They always do say you turn into your parents eventually. My mum and I both love a pot of Earl Grey when we go for afternoon tea, and we're partial to the odd gin and tonic too. So in celebration of World Gin Day on June 10th, this cocktail is an ode to the favourite women in my life. Taking inspiration from the classic way to drink Earl Grey tea with lemon, I've added a cheeky kick in the form of gin to create this afternoon tea style cocktail. Of course served in your best china... Pinkies up! goat's cheese, aubergine & spinach lasagne. A super cheesy vegetarian lasagne featuring the lovely goat's products from St. Helen's Farm. Goat's cheese lovers will enjoy the combination with roasted aubergine and wilted spinach. Diners who avoid cow dairy will be a fan because - there's none of that here! Layers of roasted vegetables, a creamy goat's cheese sauce and extra cheese on top for good measure make this a weekend treat or make-ahead meal. everdine £30 discount code and free delivery for october 2018: plus review of everdine uk. Make clean eating easy with Everdine, the newest UK meal delivery service that mixes balance, wholesome meals with convenience. With natural ingredients and meals that often go towards your five a day and daily nutritional needs, Everdine prides itself on gourmet eats that taste like treats. Embracing the power of nature's own preservative - ice - your meal selections come frozen in carefully packed boxes so you can eat your meals on days to suit you. So no worries if you order the eight meal box, you don't have to eat them within eight days. 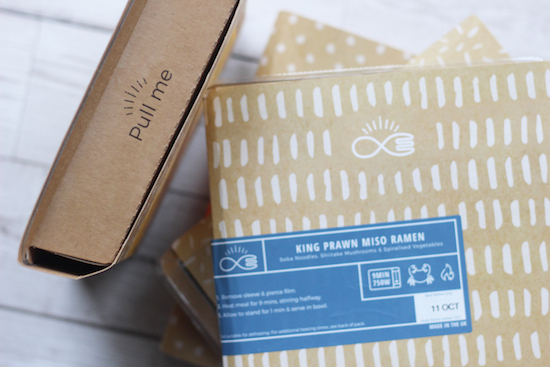 I tried out the eight classic meal box, coming in at the new reduced price of £55.20 (£6.90 a meal). Exciting news though - the lovely Everdine lot have provided me an exclusive promotional code so that you can get £30 discount off your first box. Valid October 2018 onwards, use the coupon code AF1EMILY to get 36% discount off your first UK order, which always includes free delivery. Chocolate. Triple chocolate, at that. Could there be anything finer than that first bite into your favourite chocolate bar? Personally, I love a really good milk chocolate or anything with almonds, hazelnuts or pistachios. And so, in teaming up with Expedia and their 2017 calender of foodie experience and events, I was inspired by this month's celebration of all things cocoa at York Chocolate Festival. This triple chocolate macaron recipe is made up of cocoa infused macaron shells, a Nutella spread filling and a final drizzle of white chocolate. Macarons and chocolate? Yes please!